Brecon's Stockinet is knit from soft ring-spun yarn into a 1 x 1 rib construction that shapes and conforms comfortably to arms and legs. Stockinet is available in three styles of medically proven fibers: All Natural 100% cotton, synthetic polyester, and a 50/50 blend of polyester and cotton. Each style is offered in multiple cloth weights to fit a wide range of applications and prices. Supplied in 25 yard dispenser boxes, or bulk packed in 25 yard, 50 yard, and 100 yard rolls. Brecon's Stockinet is a proven economically priced cervical collar cover that allows for a "snug" fit which improves muscular and tendon support of patients with cervical injury or pain. It's soft construction minimizes irritation and because of its breathable, it allows for ventilation maximizing coolness and comfort. 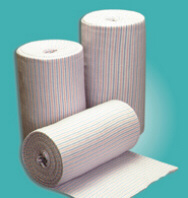 Brecon's Easy Roll is a tubular knitted stockinet that is used as an extremity drape for surgical procedures. It comes cut, sewn and pre-rolled for ease of application and is available in multiple sizes of single ply and double ply thickness. 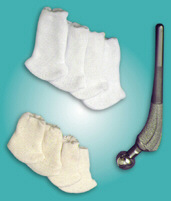 Brecon's Ball Socks are used as a protective cover to prevent the scarring and scratching of medical implants. 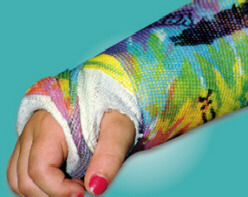 Brecon's Impervious Stockinet is used as an impervious extremity drape for surgical procedures. The inner liner is made from a soft, breathable, tubular-knitted stockinet for comfort. The outer Kraton is a seamless, co-extruded, static resistant elastomeric cover to prevent moisture migration and contamination. 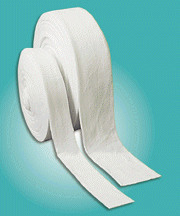 Impervious Stockinet comes in multiple sizes and is pre-rolled for ease of application. 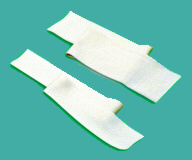 Bias Cut Stockinet is a breathable, absorbent, two-way stretch, knitted gauze that is used as a dressing for the treatment of burns. 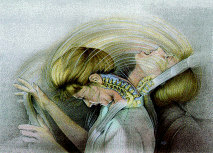 It has a unique construction that offers comfortable support to facilitate the healing process. Available in multiple widths and lengths. 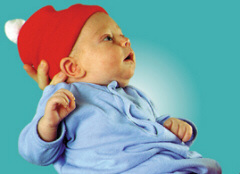 Brecon's Infant Caps minimize heat loss in the critical early days of an infant's life. 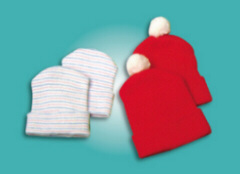 They are made from soft, ring-spun yarn for comfort and because they are knitted, they fit snugly without undue pressure. 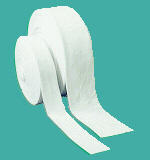 Available in pre-mature and full term sizes, one, two, or three ply thicknesses, multiple colors, with or without poms. Brecon's Maternity Wrap is a tubular compression band used in labor and delivery to hold fetal monitoring devices securely in place. 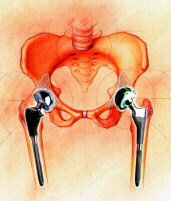 Allows for easy adjustment of monitor and because of its soft-elastic construction, blood flow is not restricted. Easy to apply. Available in multiple sizes, on rolls or in pre-cut lengths. Brecon's Compression Stockinet is an effective, multi-purpose bandage for the prevention and treatment of sprains, strains, and "soft-tissue" injuries. It is specially designed from hospital-tested materials to promote the healing and rehabilitation process by reducing swelling and preventing the accumulation of excess tissue fluids. 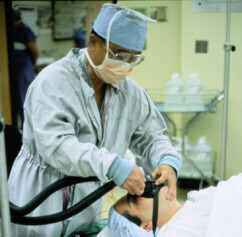 It provides uniform pressure over varying body contours without restricting motion. Application is quick and easy. Comes in multiple sizes and colors. Brecon's Cuffs and Trim provide a practical, professional image to operating room and general duty nursing apparel. They are made from fast drying, long wear fibers that will withstand the high temperatures of industrial laundering, without losing their elasticity. Custom color matches allow for the coordination of fresh fashion shades on nurse's warm-ups, lab coats, and surgical gowns. Our cuffs are washfast and come ready to apply, turned and folded to length. They are available disposable or reusable in straight or flared cuff styles. 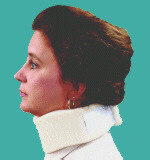 Our stand up collar trim is made from a snug fitting, wearable, rib knit tubing and comes in matching colors. 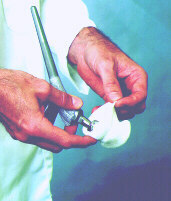 Brecon's Nylon/Fiberglass is a 60% fiberglass 40% stretch nylon reinforcement stockinet for lamination resins. Its highly elastic, fine mesh, full lacosta construction has no ribs for smooth appearance. Excellent strength and saturation characteristics. Works well with polyester and acrylic resins. Great for extra strength, high performance, lightweight sockets. Brecon's Sheer Nylon is a 100% stretch nylon, full lacosta, finish stockinet that gives final laminations a smooth rib-free appearance. 400% cross-stretch conforms easily to varying body contours. Works well with all types of resins. Brecon's Nylon is a traditional 1 x 1 rib 100% Nylon stockinet that is a very economical choice for everyday socket laminations Works well with all types of resins. 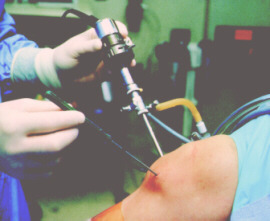 Brecon's Stump Shrinkers are tubular compression sleeves used to reduce and control edema and hypertrophic scarring following amputation surgery. 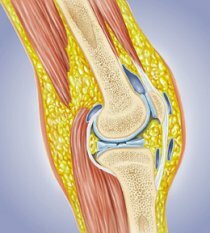 They are an easy to apply alternative to elastic bandages that speed the fitting, fabrication, and delivery of a porsthesis. 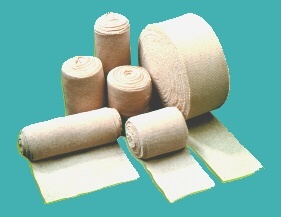 Brecon's Foam Pad is an economical multi-purpose support bandage for the prevention of abrasions, for sprains and strains, for the treatment of pressure sores, and for the reduction and control of edema. Each 9' roll is made from 1/4" open cell foam bonded inside a 2-way stretch tubular compression cover. Comes dispenser boxed, small, medium, and large.